Search by debtors zip code and you will get all members with mileage. Click the "Join" link at the top of the page or call us if you have any questions. When selecting a repossession agency your best choice is from the list of CALR members. 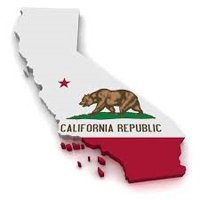 All CALR members receive updates on the ever changing repossession laws in our state. The CALR directory also includes members of recovery agencies outside of California. These Affiliate Members choose to be educated in the California laws and take advantage of our training and certifications. 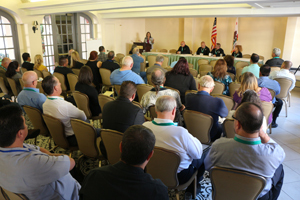 CALR members receive educational training at our conventions, some of the topics have included; CFPB, FDCPA, Bankruptcy Law, Towing & Safety, Vehicle Code, Business & Professions Code and more. Did you know hiring an unlicensed recovery agency in California is a $5,000.00 fine, to you the financial institution! Find out more by reading the "Q&A" link at the top of the page. Keep in touch on the go! Get the "CALR Elite" app for your mobile phone and tablets. Available on all platforms; Android, Apple, Windows, BlackBerry and Amazon Fire phones and tablets. Visit the "Contact" page and scan the QR code for your appropriate device.